For a lot of people, living the good life in America means having money in the bank, and a big house on a suburban cul-de-sac. But in a little corner of Detroit, there's a group of neighbors who say you don’t need to be middle class to live a good, prosperous, dignified life. 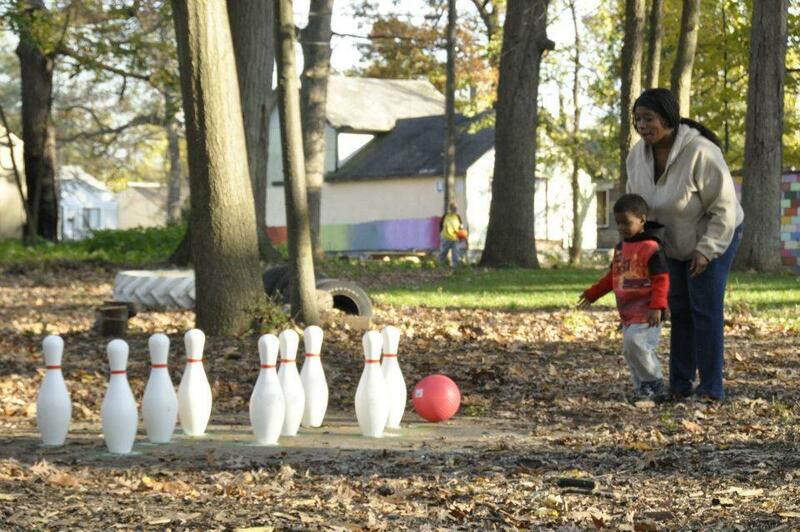 When Riet Schumack moved to Detroit’s Brightmoor neighborhood, in 2006, she found herself surrounded by blight, drug crime, prostitution, and illegal dumping. So she signed up for every meeting, every committee there was – to try and make the neighborhood a better place to live. Brightmoor has never been a neighborhood with a lot of money. It was developed with low-quality housing stock for working-class residents, and homeownership has been low since the auto workers who once lived there followed the car companies out of the city after World War II. And there’s a lot of emptiness. Schumack estimates the neighborhood is about 70 percent vacant. She says at the meetings she attended, people seemed to be waiting for “someone” – the city, churches, some outside organization – to swoop in and fix Brightmoor’s problems. 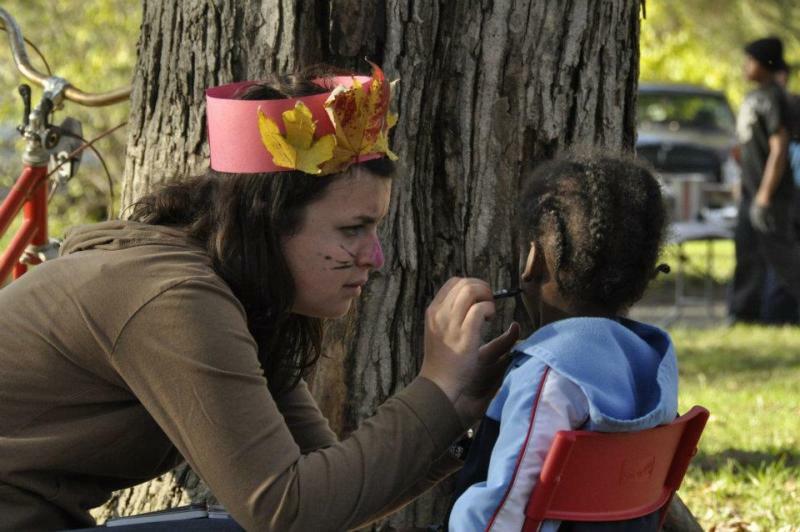 “Our children cannot wait for the city to get their act together," she said. "If we as citizens don’t do it, we have a whole generation of kids – another generation of kids that is lost. And I won’t stand for that." So Schumack looked around. And she saw lots of kids in danger of dropping out of school, or landing with the wrong crowd. So she figured she could put those kids to work turning week-choked lots into parks and gardens. For the past four years, a group of kids has been working in the gardens that dot the neighborhood, and selling what they grow at farmer’s markets in the city. Schumack says of the kids who started with her that first year, in 2007, all are still in school, and getting ready to graduate. And they’ve been busy. 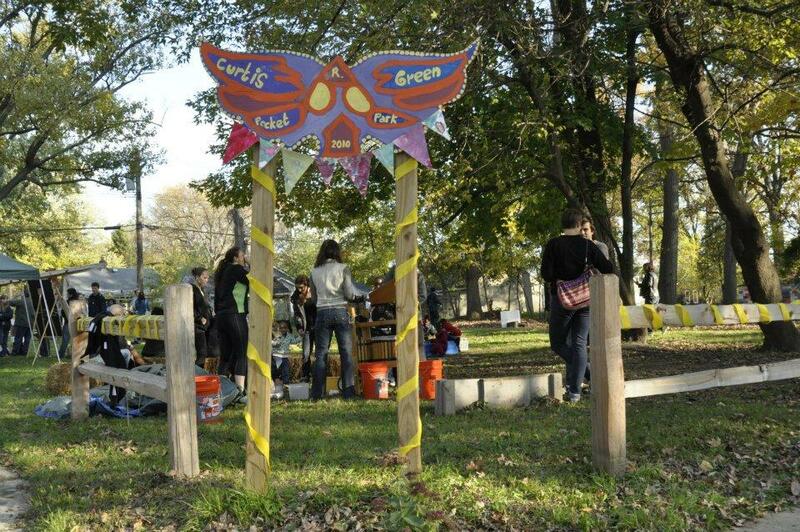 There are now 32 pocket parks and gardens in this 21-block corner of Detroit. Schumack points to a good-sized park on a corner near her house. “This is Curtis Green Park, this is where we have our parties," she says, pointing to a mowed space with tree-stump stools and a picnic table under a small shelter. "It used to be five lots. There was a house here too that got taken down last year.” An outdoor stage is carved out of the shell of yet another abandoned house right next to the park. "We're not a program. We're just neighbors." Schumack says any project that gets the green light has to be an idea that comes from a neighbor. So there’s a butterfly garden that one resident especially wanted, and an edible playscape built for Gwen Shivers. Shivers runs a day care out of her home. She says when she moved to the neighborhood in 1974, it wasn’t a bad place to live. But then, about a decade later, came something so efficient in its destruction that no single metaphor quite captures its power. It was like a disease, or a tornado, or an army of ruthless mercenaries. Crack cocaine had come to Brightmoor. So for years, Shivers says, people shrank back behind their locked doors – afraid of what might happen if they spoke up or got involved. Let's be clear: It hasn’t been an overnight transformation. Shivers and Schumack say it’s hard work, and slow. 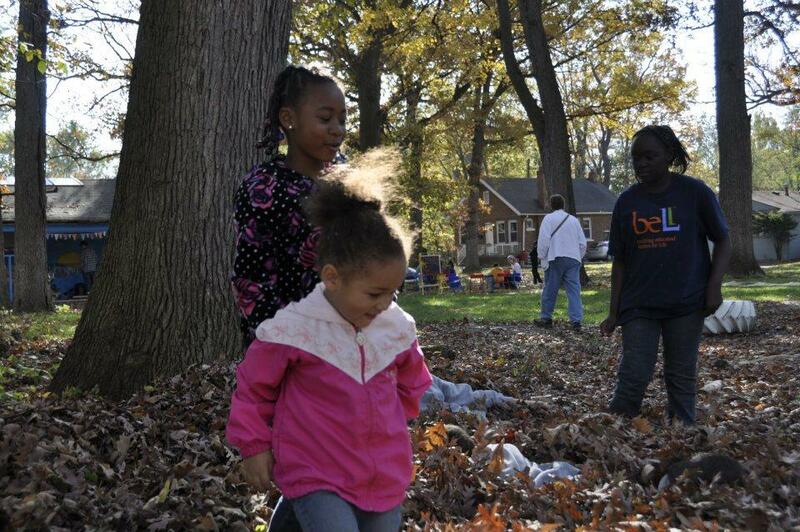 But neighbor by neighbor, block by block, they’re making Brightmoor not just livable, but a place where there’s beauty. And community. 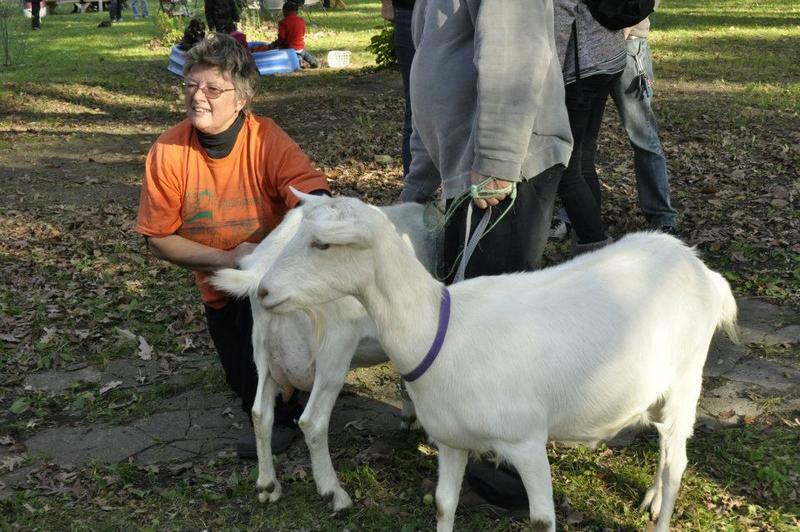 Once a month, neighbors get together for a pot-luck dinner and neighborhood meeting. On a recent November night, about two dozen neighbors finish up their lentil soup and collard greens under fluorescent lights. There’s talk about starting a CB radio patrol. There’s an update about a neighborhood tree planting. And a discussion about what to do about the problem of houses getting stripped of their plumbing and siding. This is the first meeting Deborah and Robert Watson have attended. They moved to Brightmoor after losing their big house with a big mortgage in a tonier neighborhood earlier this year. But they say they’re happy to have landed here. “It’s more so like the south, I think because people when they pass by, everybody speaks," says Deborah. The Watsons aren’t the only people to tell me there is a bright side to living in a poor neighborhood. Small houses cost less to heat. Some people, like the Watsons, own their homes outright. There are guys who are out of work, but are happy to fill their jobless days helping out their neighbors with home repairs or other work. And people here say their neighborhood is better-prepared than their richer counterparts to deal with something like a sudden spike in the cost of oil, or groceries. We’re looking at the challenges of the region’s empty places this month. For many people, the most threatening emptiness isn’t a shuttered factory. It’s the abandoned property next door. But in Detroit, some residents are using that emptiness to quietly reshape their neighborhoods. They’re annexing vacant lots around them, buying them when they can or just putting up a fence. They’re not squatters … they’re blotters.